So you’re at a party, and someone says something ignorant . And while you know that they’re in the wrong, and that you could totally engage them and win if you were a bit more prepared, your words escape you. To make sure that doesn’t happen, we’ve compiled a series of handy reference guides with the most common arguments — and your counter-arguments — for all of the hot-button issues of the day. This week’s topic: How to argue against Donald Trump, post-Brussels attack. Common Argument #1: "Don't the attacks in Brussels prove that Trump is right about Islam?" Your Response: The attacks in Brussels don't prove anything about Islam, beyond the fact that prevalent religious faiths will almost always contain extremist sects that may perpetrate violence or stridently police the behavior of believers and non-believers alike. This has been true, to varying extents, in major religions throughout history ― within Islam, yes, as well as Christianity, Judaism, Hinduism, and even Buddhism. One big reason Islam is now getting such heavy scrutiny is that we're living in an information-rich age, with media that keeps us constantly plugged into stories of religious violence and barbarism around the world. Additionally, religious texts and beliefs are notoriously malleable, depending on what message you want to hear. It's not right to say that some terrorist attacks have nothing to do with religion, sure, but it's not so much about Islam as religious zealotry. Common Argument #2: "Whatever. You see what's happening in Europe? Trump is right, we need to temporarily ban Muslims from entering the country." Your Response: It's not that I don't sympathize with people who are fearful of terrorists making it into the United States. It's happened before, and it's always terrifying. That's the point. But it's essential to remember that ISIS, just like Al Qaeda in the run-up to and aftermath of 9/11, isn't afraid that America will react. In fact, America banning Muslims would be a huge win for ISIS, as it could convince Muslims around the world that America is the oppressive, anti-Muslim nation that its militant foes are painting it as. In other words, banning Muslims (which is also flagrantly immoral and unconstitutional) lands you in a self-fulfilling prophecy ― such a move would only drive terrorist recruitment, and would be held up by ISIS as evidence that they'd shaken a giant. Common Argument #3: "But Trump didn't say that we should ban Muslims forever — it's temporary! Until we can figure out what the hell is going on!" Your Response: One rule of thumb to bear in mind about politics: If you give an inch, they'll take a mile. You're right that Trump has called for a "temporary" ban on Muslims entering the United States ― until, he says, we "figure out what the hell is going on." But what does that mean, exactly? Vagueness has always been Trump's strength, as he's able to hide his staggering lack of policy insight by letting his listeners fill in the blanks. Here's my take: If, in Trump's mind, the very existence of terrorists or a terrorist incident anywhere in the world means we haven't "figured out what the hell is going on" yet, then there's not going to be some clean, tidy end to it. You could easily see it stretch from months to years. And besides, even if it were only a week, or a month, it'd still be a horrible, irrevocable stain on our national conscience. 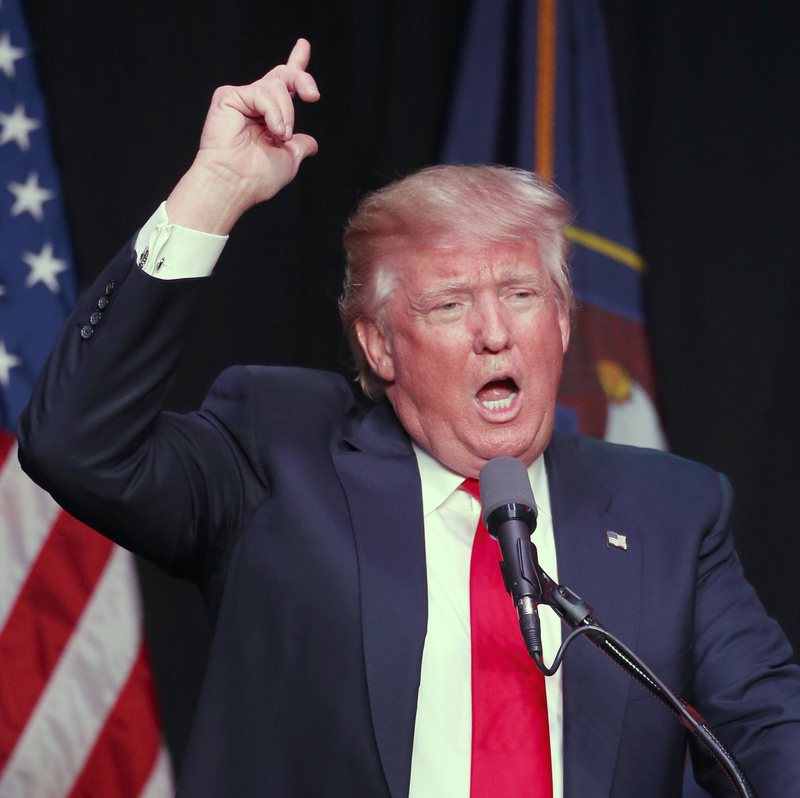 Common Argument #4: "Trump is the only candidate willing to really get tough on terrorists." Your Response: If you're in favor of waterboarding suspected terrorists, or going "even stronger" ― Trump has voiced support for outright use of torture, in fact ― then you might be right about this. But beyond the simple moral question of whether torture is acceptable (it isn't, especially for a country that views itself as heroically as America does), it's not as effective as many people think. Torture of suspected terrorists is basically just indulging in bloodshed and suffering for its own sake. That might appeal to some people, but it's light years away from actually combating terrorism. In fact, it does the opposite: American use of torture is a commonly cited factor in the radicalization of young Muslims. Common Argument #5: "What do you mean torture doesn't work? Trump says it does." Your Response: Trump says a lot of things. He also blasted American generals who don't support waterboarding as "weak" and claimed that he knows better. This is standard Trump fare ― insisting he's the best authority on issues he has no background in, all while speaking so incoherently that there's no reason to trust him. He's also previously claimed to have the world's greatest memory, that the Mexican government will pay for his increasingly absurd border wall, and that he's "the least racist person on Earth." Bleating those things with a smirk, however, does not make them true. Common Argument #6: "Well, we need to get tougher, at least. There's this story that Trump sometimes tells about General Pershing in the Philippines ..."
Your Response: Oh, that "They shot Muslims with bullets dipped in pigs' blood, and that stopped terrorism" story? That's been repeatedly debunked. But more importantly, what the hell is wrong with you? If you think that making a show of publicly executing Muslims with bullets slathered in pigs' blood is a good strategy to combat terrorism by militant Islamic sects, you're about as bad a strategic thinker as I've ever met. Sorry, but you're not getting anywhere on this one. That story is a myth, and a deeply barbaric one. And it's a good sign that a Trump presidency would actually make this country far less safe, not more. Common Argument #7: "Oh, come on. Hillary Clinton is going to keep us safer than Trump?" Your Response: Yup! If you view blustery right-wing stridency as being equivalent to "keeping us safe," then there might not be much I can say. But Clinton is by any measure a moderate-to-hawkish Democrat, as far as foreign policy is concerned, and she's been at least slightly to the right of the Obama administration in regards to its views on terrorism and foreign intervention. If Obama was too liberal for you, then Clinton would be an improvement. We should kill terrorist's families. We should waterboard and torture suspected terrorists. We should ban Muslims from entering the United States. If you think that's going to keep us safe, then you're in for a rude awakening. If those three suggestions were heeded, they would breed a whole new generation of terrorists. And whether they end up flying the ISIS flag or that of some other outfit decades down the line, America will end up having to reckon with them once again.